Clinical Director, Lifespan Development Group Inc.
Dr. Jones is a Registered Psychologist in Port Moody, and on West Broadway in Vancouver. He is the director of Lifespan Development Group, an organization that is committed to providing quality and evidence-based psychology services to children, adults and families. Dr. Jones has training and experience in helping people with a variety of life problems and psychological issues, including depression, anxiety, trauma, grief, family interaction problems, learning difficulties, developmental disorders including Autistic Disorder and Autism Spectrum Disorder, and self-regulation difficulties including ADHD. Dr. Jones’ began his education in psychology with interests in self-control and self-regulation of attention, emotions and behavior. 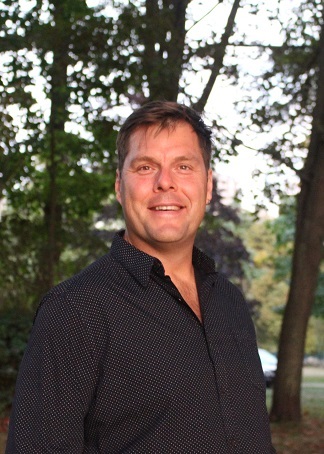 He completed a Master of Arts in Clinical-Developmental Psychology from Simon Fraser University in 2002 and a Ph.D. from the same program in 2007. He attended a clinical internship in 2003-2004 at The Help Group in Sherman Oaks, California under the supervision of Dr. Phillip Levin, director of the HELP /UCLA Pediatric Neuropsychology Program. He has been a licensed psychologist in British Columbia since 2010 and has provided services to the BC Supreme Court as an expert witness in psychological assessment. Keri was born and raised in B.C. 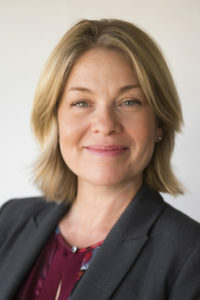 She completed her undergraduate degree in 1995 at the University of British Columbia and then went on to complete her Masters in Counselling Psychology with the Adlerian Institute of Professional Psychology in 2002. She resides in Vancouver with her husband and two children. Keri has been working in the counselling field for over twenty years. Her background includes work in addiction recovery in both outpatient and residential treatment settings. She is certified in Mindfulness Based Relapse Prevention supporting her clients in finding healthier ways to self-regulate their thoughts and feelings and live a life congruent with their values. She provides individual counselling for adults and young people with depression, anxiety disorders, and addiction issues. Additional areas of interest and expertise include helping her clients manage stress related problems such as coping with major life changes, perinatal anxiety and depression, grief and loss, chronic pain and relationship issues. Keri’s therapeutic approach is grounded in cognitive behavioural therapy which is a well- established approach shown by research to be highly effective in the treatment of anxiety, and depression. She incorporates elements of Acceptance and Commitment Therapy and Dialectical Behavioural Therapy that emphasize mindfulness, acceptance, and effective management of difficult emotions. Psychology Assistant and Therapist at Lifespan Development Group Inc.
Niamh is originally from Dublin, Ireland but is currently working as a Psychology Assistant with the Lifespan Development Group in Vancouver, Canada. Niamh completed a degree in Psychology through science at the National University of Ireland, Maynooth. This was followed by a Masters in Applied Psychology at University College Cork. While here, Niamh worked with the National Dialectical Behavior Therapy Project as a Research Assistant and developed an interest into the study and treatment of emotion regulation. She has since worked in the area of disability, working with both children and adults of varying intellectual disability. This work established her interest in the practice of functional behaviour analysis to inform effective treatments for behavioural change. Prior to coming to Canada, Niamh worked as an Assistant Psychologist within the Health Service Executive in Dublin, Ireland. Whilst here, Niamh was involved in the facilitation of a number of individual and group programmes aimed towards treating psychological concerns including generalized anxiety disorder, social anxiety, panic disorder, OCD,depression, and assertiveness. Niamh currently works with clients using principles from Cognitive Behavior Therapy (CBT), Acceptance and Commitment Therapy (ACT) to treat a range of psychological difficulties. Lifespan Development Group therapists use primarily mindfulness and acceptance-based methods to help people struggling with thoughts, feelings and behaviors that are not serving their values. Mindfulness and acceptance skills provide the freedom to choose actions that move you towards your values, even as you are burdened with unhelpful thoughts or unpleasant feelings. Mindfulness and acceptance-based methods include Acceptance and Commitment Therapy (ACT), Dialectical Behavior Therapy (DBT) and Mindfulness-Based Cognitive Therapy (MBCT). Our therapists also have training in Cognitive-Behavioral Therapy (CBT) and interpersonal-psychodynamic therapy methods, and uses these as appropriate. We would be happy to explain more about these different methods to you in a free initial telephone consultation. Reaching out to a psychologist for help with a problem can be difficult and intimidating. It may help to know that the services we provide are based on your goals and values, and upon a shared understanding of the problem and the treatment methods to be used. Your initial meeting will focus on clarifying your goals for therapy, which may include improving the quality or intimacy of your current relationships, coping with grief or painful memories and experiences, coping effectively with current challenges, replacing or changing unhelpful behaviors, and being more productive and effective in your life. We will work hard to establish and maintain an effective “working alliance” where there is mutual trust and respect, a shared understanding of the problem and the treatment methods.